In our online keno guide we mention how every online casino has different variations you can play for real money. 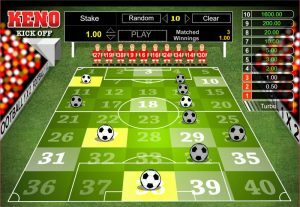 In this article, we expand on what keno games are available to play and their differences. While most of them have standard rules of choosing from a board of 80 numbers, there are some instances where the games differ slightly by adding interesting elements to keep things interesting. 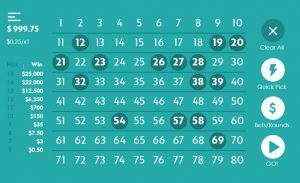 On the surface, Powerball Keno looks like your typical keno game and lets you wager between 2 and 10 slots on a board of 80 numbers. But did you know there is a slight twist to this game? 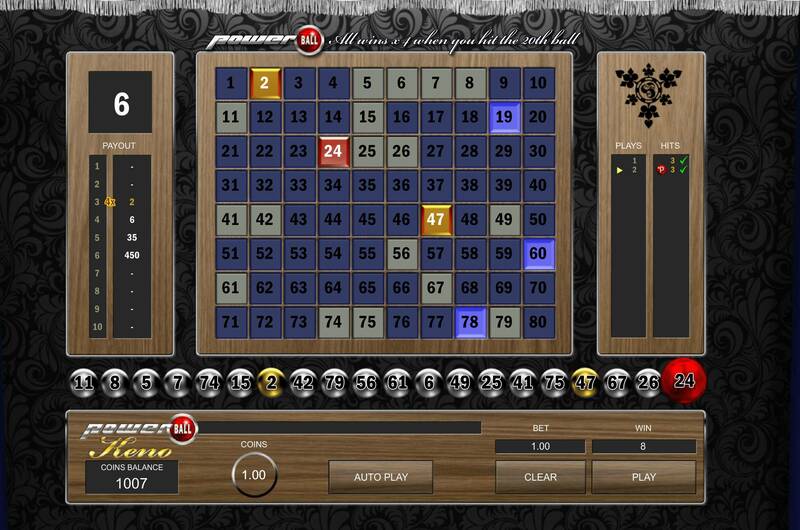 As the name suggests, the very last ball drawn in each round is counted as a Powerball which means that any winnings come with a tantalizing 4x multiplier. 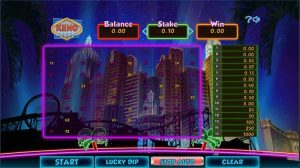 This is similar to the ever popular land based Superball Keno game however unfortunately there is no progressive jackpot. If you’re wondering how the powerball feature affects the payout and your chances of winning, you can use this calculator to devise your own strategies. Powerball Keno is available to play at Saucify powered casinos. Available at most USA casinos, this is the standard keno variation where you have to try and guess up to 15 numbers on a board of 80. It comes with very basic graphics and may not look as appealing compared to other variations but it’s worth mentioning since it’s the most common variation you’ll find playing online for real money. Powered by Realtime Gaming, an industry provider since 1996, this variation is certainly not going away anytime soon. A modern take on Keno as opposed to the traditional variation mentioned above, Keno Draw is more suitable for those who like a cleaner aesthetic. 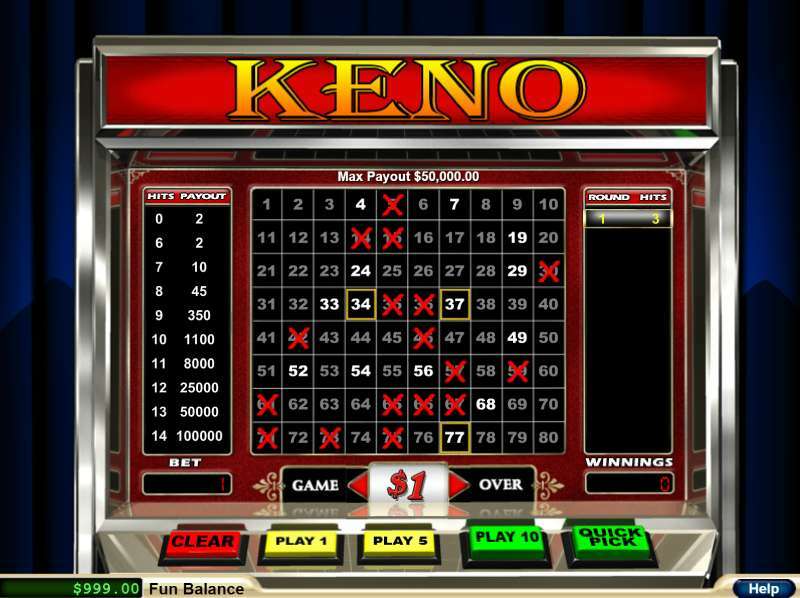 Now the rules and features are exactly the same as traditional Keno but the biggest difference, other than the appearance, is that this variation is mobile friendly and doesn’t rely on Flash. Commonly found at US casinos like Bovada. 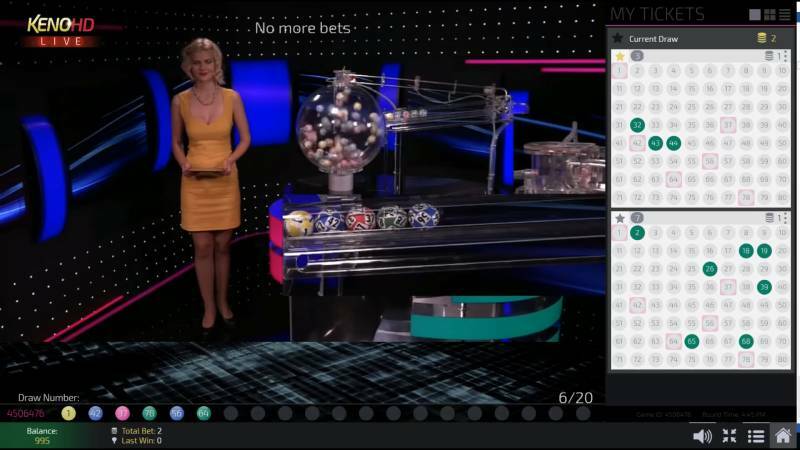 As technology has progressed, live streaming of casino games are becoming more mainstream and this certainly applies to Keno too. Currently only available at Ezugi powered casinos, live keno brings an enhanced experience where the numbers are drawn by an actual live and professional dealer. Streamed from Latvia, this live version of Keno is the most entertaining of all variations however unfortunately it’s just not readily available at many online casinos at all. Hopefully, this will change in the near future. A Vegas themed Keno game, this one can be played at BetOnline which is one of the best US friendly casinos. This is a pretty standard variation which lets you choose up to 15 numbers from a board of 80 number. The more you match and the higher your stakes, the more the prize winnings. The betting stakes are quite wide with a minimum stake of $1.00 all the way up to $200. 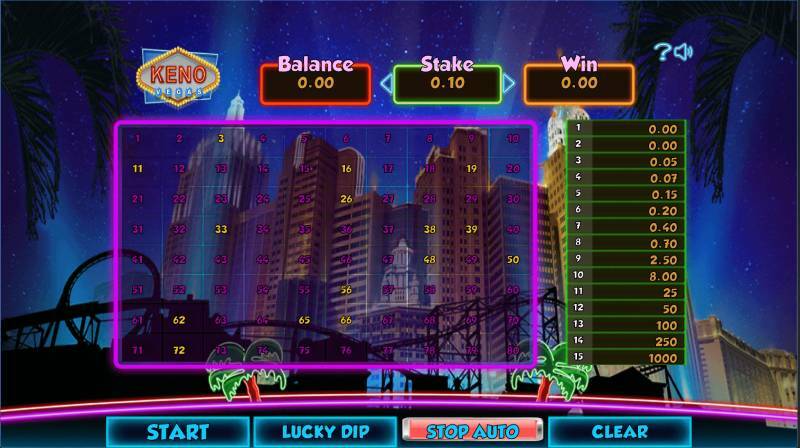 As with most Keno variations, Keno Vegas has a “Lucky Dip” feature that selects random numbers for you and an “Auto Play” feature which automatically plays rounds without you having to manually start each one all the time. The average RTP is claimed to be 94.45% with a house edge of 5.55%. 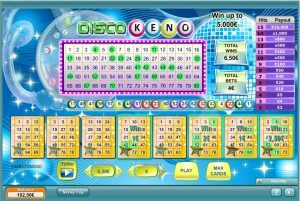 Disco Keno is a bit different from your regular keno variation and actually borrows some elements from Bingo. 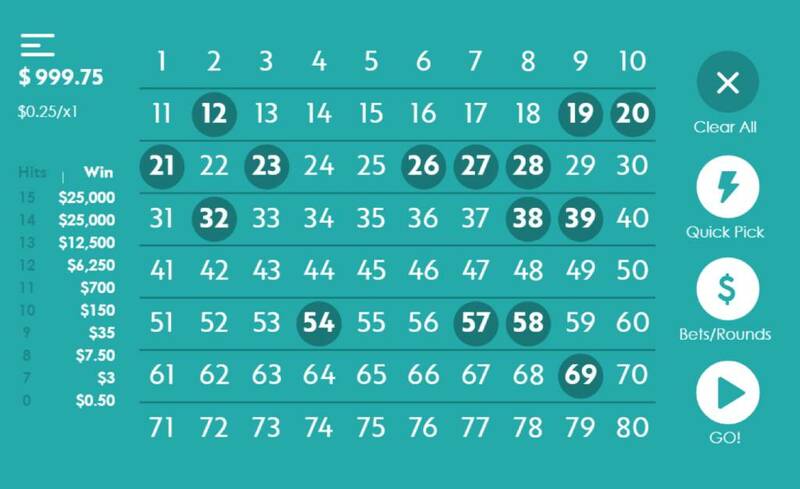 Instead of selecting numbers, you get to select up to 8 lots of cards and each card contains 15 numbers. Balls are drawn from a board of 80 numbers and the objective is to match at least 2 numbers on a single card. 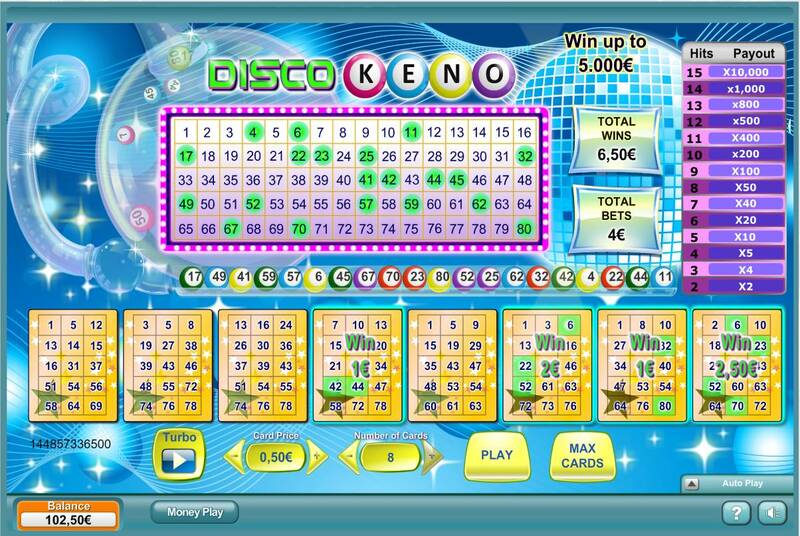 Disco Keno can be played at NeoGames casinos however be wary that none of these casinos accept players from the US. The theoretical RTP is 93.51%. This one comes from 1×2 Gaming and is a football themed keno variation where the number grid is actually only limited to 40 numbers as opposed to the usual 80. 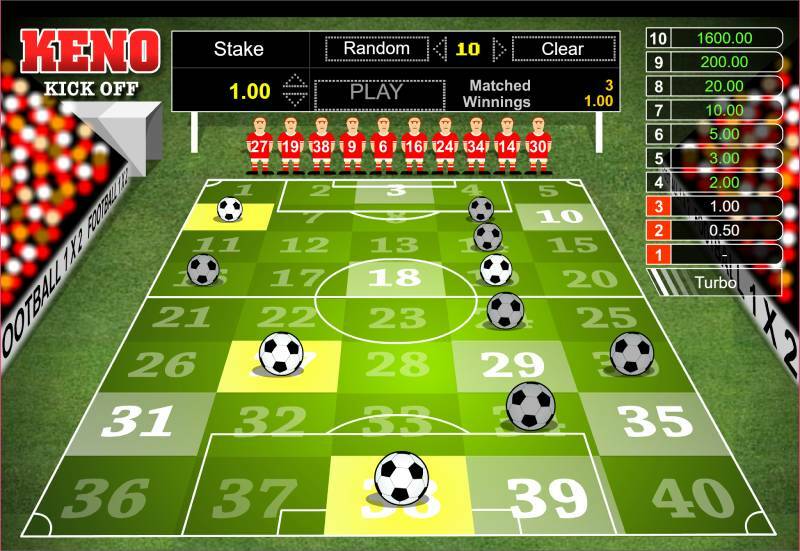 You can choose up to 10 numbers which are represented by footballs and the more you match the more you win.